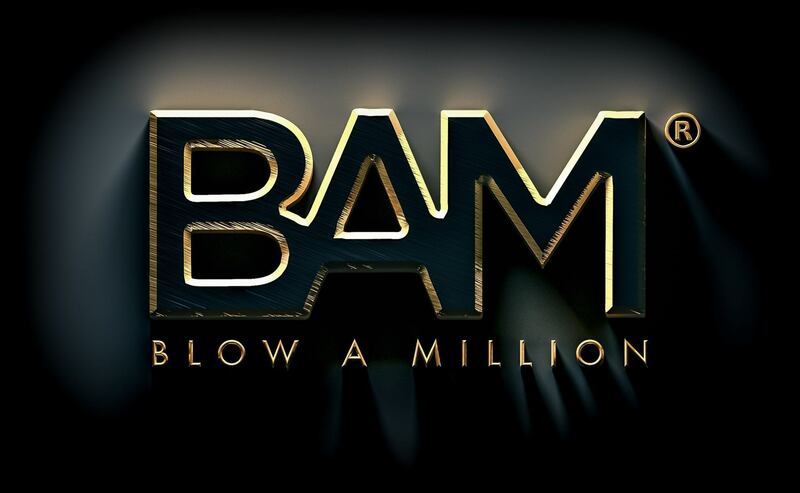 BLOW A MILLION ® is a pioneering digital reality competition series. Five contestants have one week to BLOW A MILLION ® living their 'bucket list' dreams. If they succeed, one contestant, voted for by the viewing audience will win $1,000,000. How would you like to experience the VIP world beyond the velvet rope AND be given the opportunity to change your life, joining the richest 1% as a millionaire? The viewing audience is looking for the next step in reality television. BLOW A MILLION ® is the modern American dream for the twenty-first century. BAM is hugely aspirational and created as THE show for the 99% of us that want to be more than just voyeurs. As a contestant, you get to live the celebrity lifestyle of your idols, experience fame, fortune and fulfil your wildest 'bucket list' dreams win or lose. Unlike all other reality competition game shows, ANYONE can enter, play and win regardless of education, background or talent. The format for BLOW A MILLION ® is geared for international franchising and global specials. Weekly broadcasts are stand-alone; no arc other than prize money rollover. BAM is the future of television. Viewers can watch, enter, vote and interact 24/7 on the livestream at www.blowamillion.com and via the App across all devices. As one of five new weekly contestants, all you must do is collectively spend EXACTLY $1 million (not a cent more, not a cent less) between you, having the time of your lives together, living your dreams. Four contestants will leave with nothing more than incredible experiences, friendships and memories of the past seven days. Only ONE of you may leave a (multi) millionaire, as voted by viewing audience. *Justifiable value is regarded as the market value for the services provided and not an inflated price in order to consume capital i.e. you may hire the best personal trainer to the stars at their published daily/hourly rate but an untrained friend acting as a hair stylist for $20,000 per day is not justifiable value. WHY BLOW A MILLION ® IS THE NEXT BIG THING? It all comes down to timing and a little bit of luck. When I first created BAM the world was still in recession. 4G didn't exist both Netflix and Amazon was yet to produce it's first original content. Fast forward to 2019 and there has been a paradigm shift. Technology has finally caught up with my imagination. We consume content on demand and there are now more Netflix subscribers than Cable TV. The majority (77%) of Americans now own smartphones while 69% of households have at least one television set connected to the Internet. You no longer need a network or production partner to deliver content directly to an aspirational audience obsessed with celebrity culture, fame and fortune. "I love the concept. BLOW A MILLION ® is very well thought through and articulated and there is something wonderfully big and fun about the idea." Remy Blumenfeld – Chief Creative Officer Thinking Violets/Executive Producer “Who’d Be A Billionaire"
“The public has a huge fascination with how the 1% live and the idea that BLOW A MILLION ® will give them an opportunity to live that lifestyle for a week is something that will appeal to the masses." ”I actually like the premise behind BAM. It's a fun idea and I could see something like that working." "If anyone can make it happen, you can." Grant Parker is the Creator and Executive Producer of BLOW A MILLION ®. His career spans roles in advertising, sales, marketing, PR, events, content, leadership and talent managment across media, technology and research industries. A passion for startup's, Grant has worked on numerous launches for digital media, television, cinema, radio, magazine publishing and even a members club. All his teachers in his school reports said; "Has potential. If only he would concentrate and stop wasting his time dreaming!" To quote Superman (Christopher Reeve): "So many of our dreams at first seem impossible, then they seem improbable, and then, when we summon the will, they soon become inevitable." Grant has never stopped dreaming.